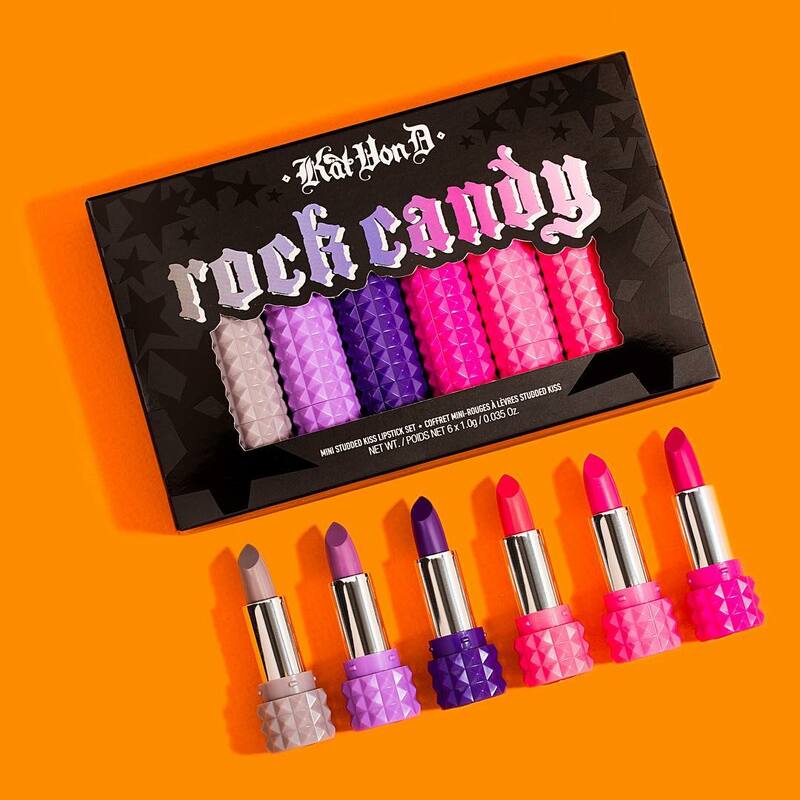 Kat Von D Rock Candy Studded Kiss Mini Lipstick Collection Swatches | Top Beauty Blog in the Philippines covering Makeup Reviews, Swatches, Skincare and More! 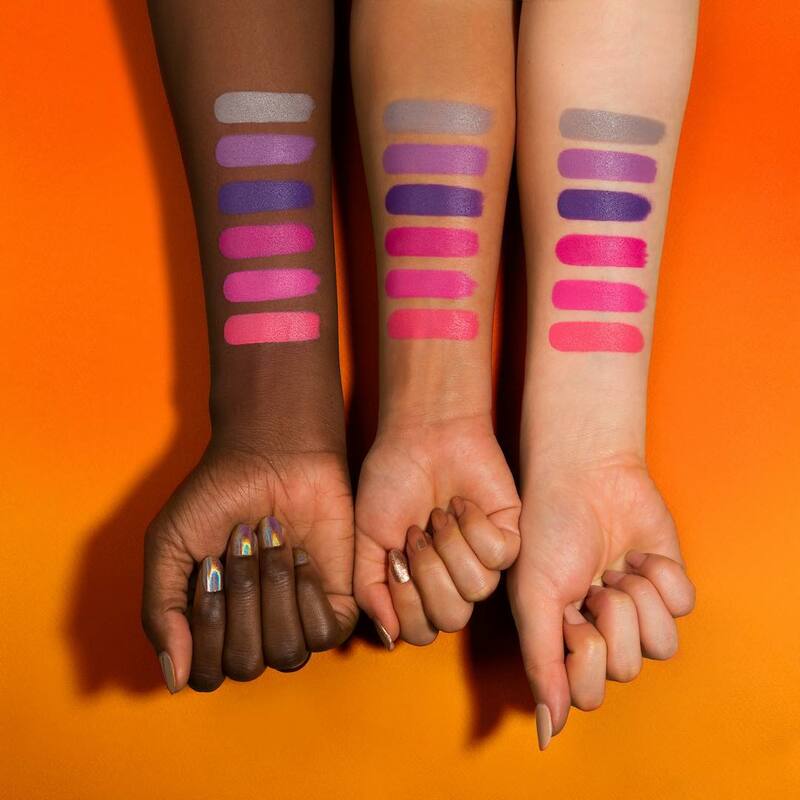 Here are the swatches of the new Kat Von D Rock Candy Studded Kiss Mini Lipstick Collection – an innovative lipstick that coats lips with bold color, long-lasting wear, and luxe comfort. Drench your lips with bold color and unstoppable femininity. Designed to look as rock ‘n roll as its wearer, this revolutionary lipstick is formulated with Color Cushion Technology™, which combines lasting-wear, one-swipe payoff, and velvet-touch comfort. This color-true lipstick leaves lips supple, and its wide color spectrum offers stunning shades, including red for every skintone, statement-making colors, and classic, everyday neutrals. Kat Von D’s Studded Kiss Lipstick is infused with an antioxidant complex that leaves lips feeling soft, and the Crème Brûlée scent provides a subtle, sweet experience when you apply it. Designed by Kat to resemble one of her favorite bracelets, the black, monochromatic casing is uniquely studded and topped with her KVD monogram on the outer crown and bullet. Amazing colors! I love Crush. Ooh, I'm going to order now. Bellissimo questi colori e anche il packaging!